Partnership is a term we hear a lot in modern dentistry. After all, it is a powerful word that implies the absence of hierarchy in the workplace. It is always trying to grab your attention. Let us clear the muddied waters. With us you should know that partnership means that we always put the partner first. Our partners are our guiding light and the foundation for every strategy. Partnership includes the joining of a doctor to our Professional Dental Alliance, and, also often includes the joining of a private practice to our group. If you own a practice, please inquire with our development team to see if you qualify to learn more. We have no financing contingencies, use a staff-retention model, and offer an unmatched degree of flexibility in the purchase agreement. Typically, we look for practices in our current markets that generate 750k in revenue or more with at least four operatories. 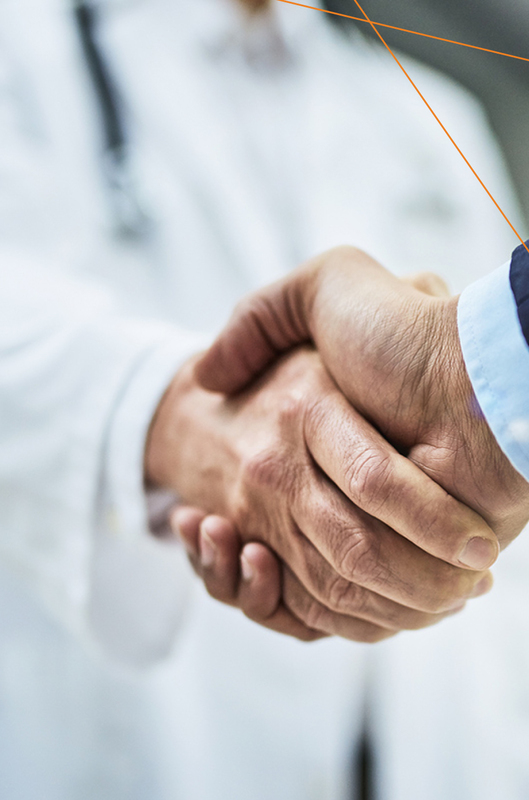 If you are looking to become a partner, affiliating your private practice to NADG is usually the first step you will need to take. However, affiliating your practice does not necessitate a partnership. The choice is yours. We help you manage the business functions of your office which allows you to truly practice dentistry; you continue to make all the clinical decisions. We offer competitive pricing on general and specialty practices, and our valuations are complimentary – no strings attached. Our partners often choose us because of our philosophy – we realize that one size does not fit all. Whether you’re looking to sell, partner, or merge your practice, we can offer you a structure custom-tailored to meet your needs. Any doctor can put the patient first, but we ensure that our doctors do so without the extra work of having to manage a business. Each affiliate practice in our group is liberated from the work of operating a complex dental office alone. With well over 100 affiliates, all that work has had to end up somewhere. That is where the different bodies of the resource center come together to work in orchestration. Our singular goal is to provide support for all of our practices. We always work closely with the clinical staff and patients at each practice. We provide them with consistent and professional service to enable everyone else to truly focus on the patient.